Board Plan is also known as Revolving Matrix Plan with Level Income is one of the most popular plan in aboard, now also popular with Indians. The Board MLM Plan got the name as it has few team members in a board, helping eachother grow. The member in the board is set by MLM Company. When the number of member in the board excedd it is automatically split into sub - boards or sub group. The member who have completed their level is allowed to move to next board. How Does MLM Board Plan Work? Upon joining the MLM Board Plan, you are provided with an empty board with columns and rows. The dimensions of the board may vary from one company to another. Member get compensation upon filing the columns with new associates, or members. 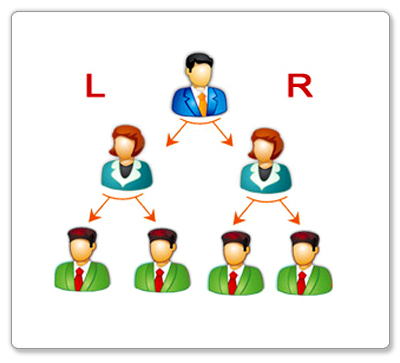 The MLM Board Plan works on two-legs or more then two-legs provided by MLM Company. This is one MLM plans where members pay on joining fee, which makes you start earning from theday you start your MLM business. For members as well as for MLM Company it's beneficial. Here Admin can set the commission amount. Easy to manage - As the members are limited, this plan becomes easy to manage. Increased pay outs - Limited team size, pay outs are not only manageable but also yield high pofits. Independent managed - Here no one is dependent on its up line or down line, once you complete your level, you are eligible to go to next board. Limitation of Size - This plan can have an adverse effect for MLM company who wants to build a large company with unlimited members. Ans. MLM Board plan is also known as Revolving Matrix Plan and it is suitable for a limited number of people. Ans. Here every member get a blank board to be fill with its downline. Board is provided with number of rows and column. Once if he fill up the board, he is eligible for the next board. Its beneficial for both member as well as company. Here the commission amount is set by the admin. How does one get commission? Ans. It is easy plan to use, with unlimited downlines. Best part is commission amount is decided by admin. Ans. Board Plan got its name, by helping its team member to grow. When the member exceeds its team limit, its automatically shifted to next board. Best player is set at the top of the next board. This keep on repeating for everyboard. Will it work as a wonder for our company? Ans. Yes, it will help to get maximum profit for the company. Its a extremely profit making plan, without any limitation set for the members. See what our customers says about our service with Board Plan. MLM Board and Level Income Plan. Our journey for making successful software for #MLMIndustry keeps going. The plan we made for this #NetworkMarketing company not only made them automate their business but their members were also very happy to use the software. The software for his #DirectMarketing company is designed to get maximum benefits to their members. We are creating another big wave of opportunities in South Africa in MLM industry. With Bitcoins we are launching one of the best plan in market. See how we handled clients support. Finally as they say "there is nothing like a happy customer".